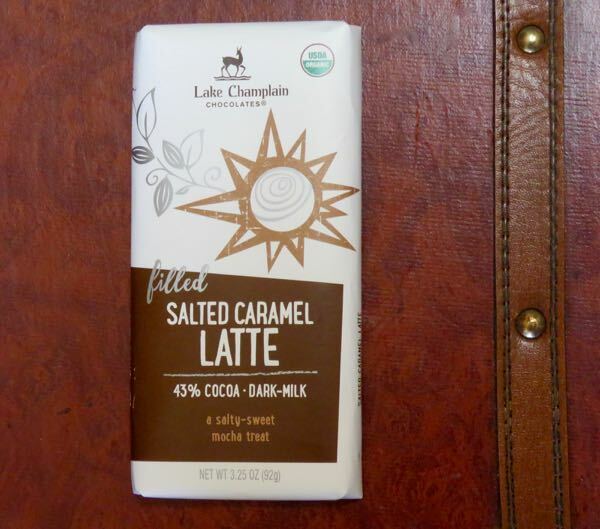 This Salted Caramel Latte 43% Cocoa Dark Milk (bar) from Lake Champlain Chocolates (Burlington, VT) seemed like a good choice for a busy day. 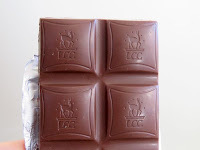 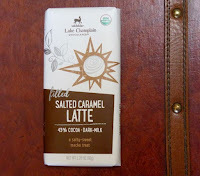 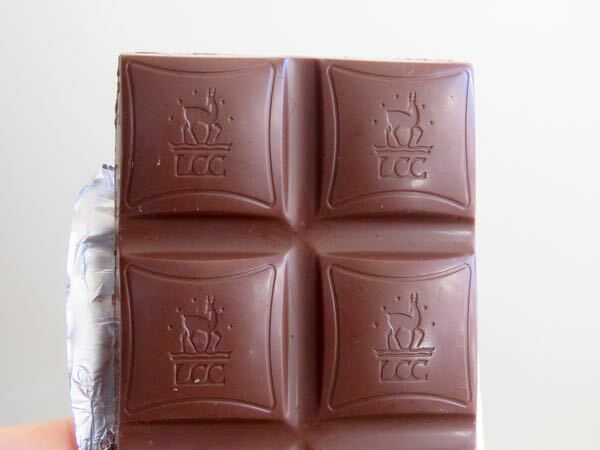 Described as "a salty-sweet mocha treat," this organic, fair trade, Kosher Dairy, filled bar did offer pleasing smooth chocolate and (Dominican) coffee flavor and the sweetness of the "golden salted caramel." 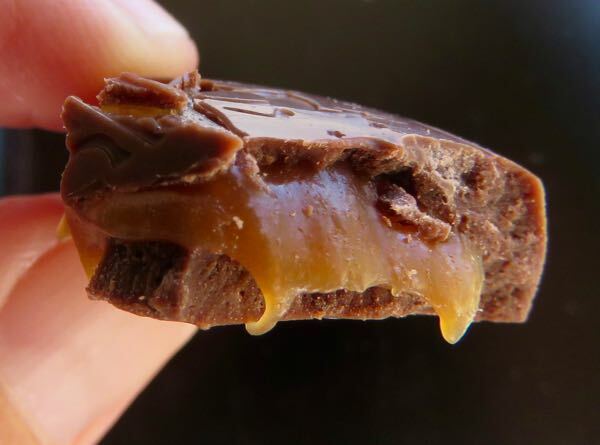 There's also something fun about taking a bite out of a filled caramel chocolate, and looking back at a set of soft caramel "fangs," as the filling oozes slowly out of its shell.